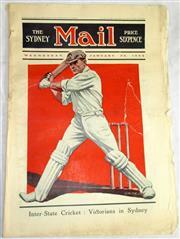 Sydney Mail, Front cover, Wednesday January 30, 1924. Cricketer. Tears repaired. Good.